If you have paid any attention to the news over the past couple of weeks you will be aware of the stark horrors that dog lovers, and lovers of basic sanity, have had to face. The Yulin Dog Meat Festival, which has seen the brutal and unjustified slaughter of uncountable dogs took place, luckily it’s over but the bitter taste still lingers in the mouth of many. All we can hope is that compassion will take hold of the hearts of the heartless and this barbaric thing will soon be a forgotten part of history. In the meantime lets look at the positives in the world, and when we do we have to look no further than Nepal, home to the Tihar Festival. 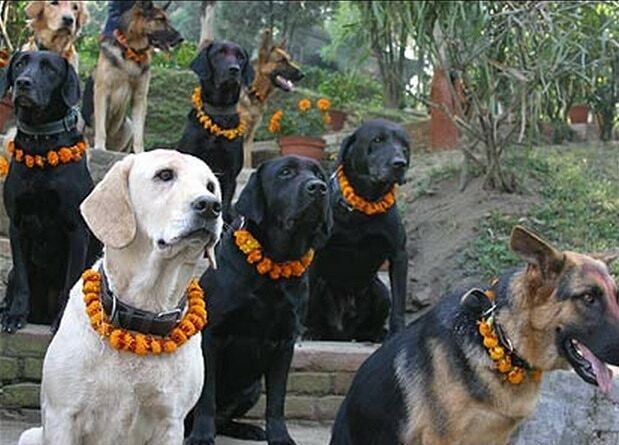 This five day event honors and celebrates many things, and one of them (on the second day of the festival) is dogs, which is called Kukur Tihar. Dogs are given flower garlands as a sign of respect and love for the wonder that is the relationship between dog and man. 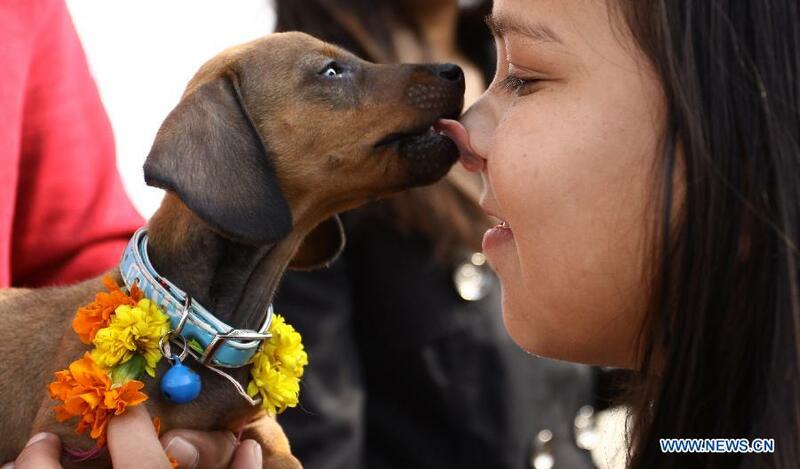 This is what a dog festival should be about. Dogs are lavished with treats and toys and treated like the great beings that they are. This is a truly beautiful thing in a world where such horror occurs, it’s nice to see the warm and loving side of humanity, and to see that same love and affection given to dogs is a added bonus. Kukur Tihar is on the 9th of November 2015, if you get the chance go and celebrate the beautify of our four legged friends, if not celebrate it at home and show your pet what they mean to you.